FutureTouch Technology - Portfolio Details For The Gap, Inc. 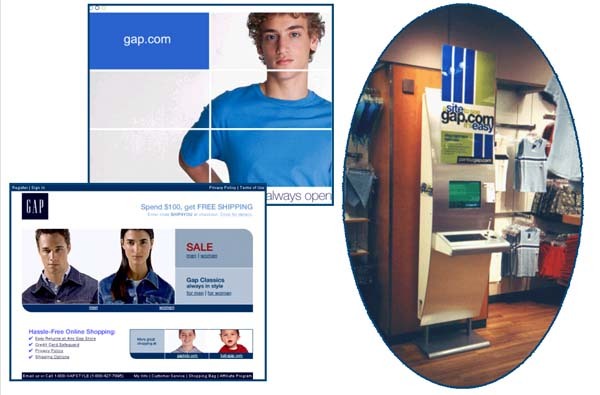 In partnership with Compaq Computers and FutureTouch, The Gap developed and deployed web-enabled interactive ecommerce kiosk system at pilot store locations in California and Minnesota. The purpose of the kiosks is to provide customer access to the Gap ecommerce web site and to allow customers to purchase items that are not available in the store or out of stock. The kiosks feature FutureTouch's EyePoint kiosk software engine which was modified to suit the unique needs of the project. Compaq Computers, working in conjunction with FutureTouch, provided project management services, installation, ongoing technical support and all computer hardware. The computer hardware features Compaq’s new iPaq network computer.